As of 2018, there is no native 'background noise' implementation in CSS. There is a stackoverflow discussion from 2010 that has a few suggestions.. the highest rated one being a data URI solution. Using a pre-made PNG for texture in the form of a data URI seems to be the defacto workaround. Last year I made a gradient generator that stacked layers of gradients on top of each other and animated them based on whatever text input you fed it. 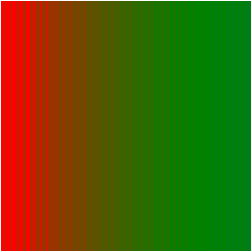 It was deterministic--the user input was hashed and always created the exact same gradient animation. ..a nice start at generating texture from virtually nothing, but still some work to be done to get some real random-looking noise texture that is equally satisfactory in both firefox and chrome. firefox's blend-mode renderer seemed to be a little bit more on-par with photoshop's (solid lines rather than dithered ones, as chrome's did).. so I continued investigating with overlaying layers in photoshop from this point forward. 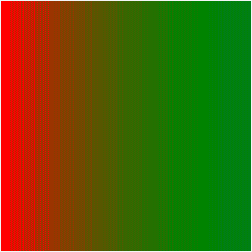 I noticed that the solid lines could be instantly more dither/moire-like by rotating the gradient ever so subtly, and then adjusting the scale (zoom) of the gradient.. e.g. I decided to streamline the process of looking for noisy css patterns with a tool that overlays css gradients at random (based on a hashed input) and started to come closer to finding a combinations of layers that produced very noisy texture. I posted the set of parameters to the stackoverflow thread as a proof of concept.